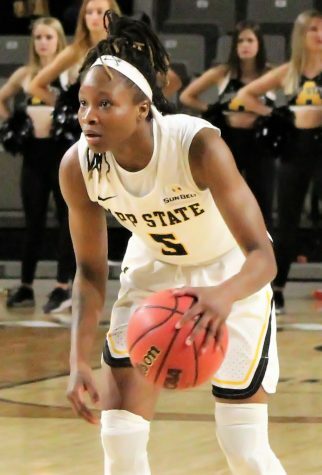 After finishing with its best record while in the Sun Belt, the App State women’s basketball team made a run in the postseason in the Sun Belt tournament in New Orleans, finishing with a loss to the University of Arkansas-Little Rock in the semifinals. 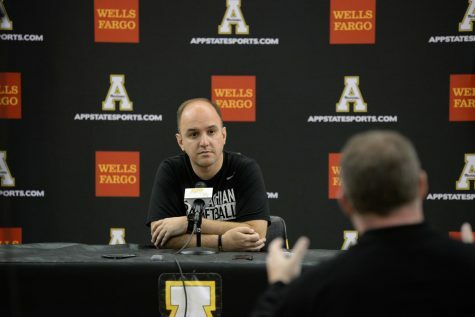 After the Sun Belt Conference predicted the team would finish No. 9 in conference at the beginning of the season, the team finished with a 10-8 record, double the amount of conference wins from 2018. 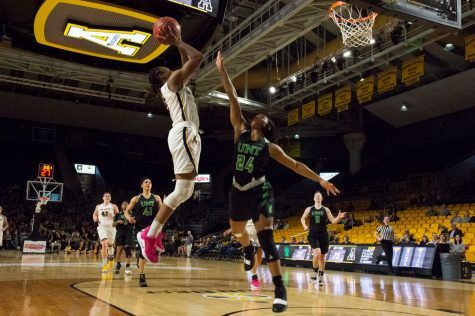 The Mountaineers won four of their last five games and earned the fifth seed in the tournament by defeating South Alabama on the last day of the regular season. 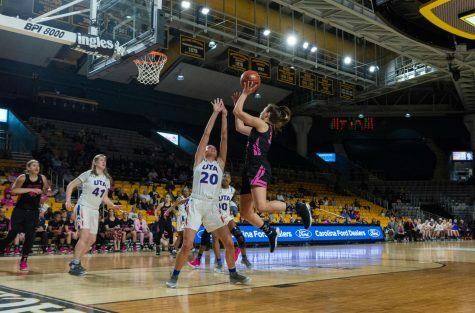 The seeding was good for a first round bye in the tournament before defeating Coastal Carolina on March 13 to advance to the quarterfinals against Georgia State. The Mountaineers upset the No. 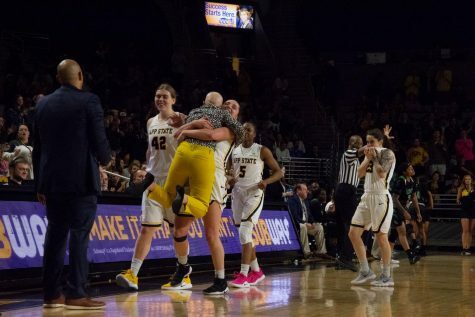 4 ranked Panthers with a buzzer beater from senior guard Madi Story to advance to the conference tournament semifinals for the first time since joining the Sun Belt. They played Arkansas-Little Rock, the regular season conference champions, on March 15. 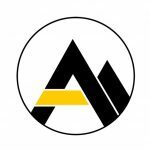 The Mountaineers fell 80-64 to Arkansas-Little Rock. 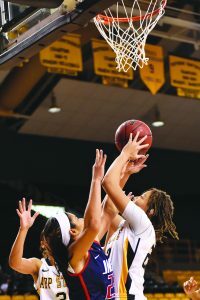 They stuck with the regular season champions for the majority of the game, but struggled to keep up in the scoring down the stretch and the Trojans pulled away. This marked the end of the season for the Mountaineers, and they finished with an 18-14 record. 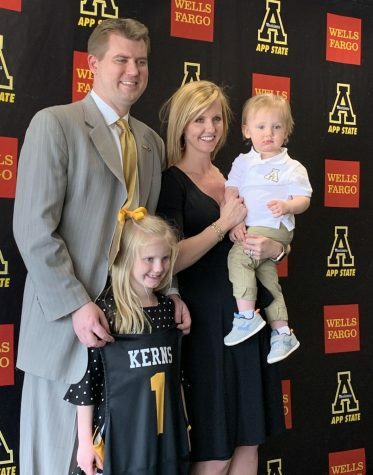 App State will look to continue improving in the offseason and continue the growth that the program has seen over the past few years. 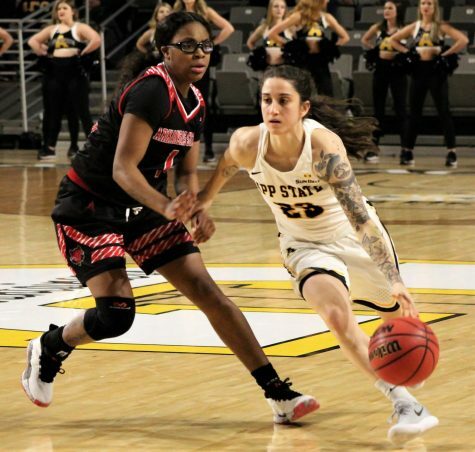 Returning for the Mountaineers will be several starters in Bayley Plummer, Lainey Gosnell and Ashley Polacek as well as a few key reserves in Maya Calder, Nicola Mathews and Pre Stanley.